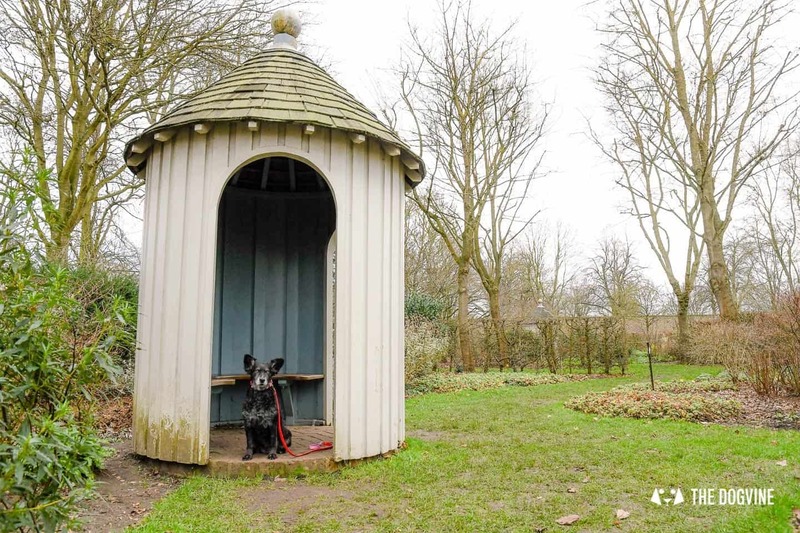 London has plenty of historic houses and gardens but as is often the case, only some allow dogs. 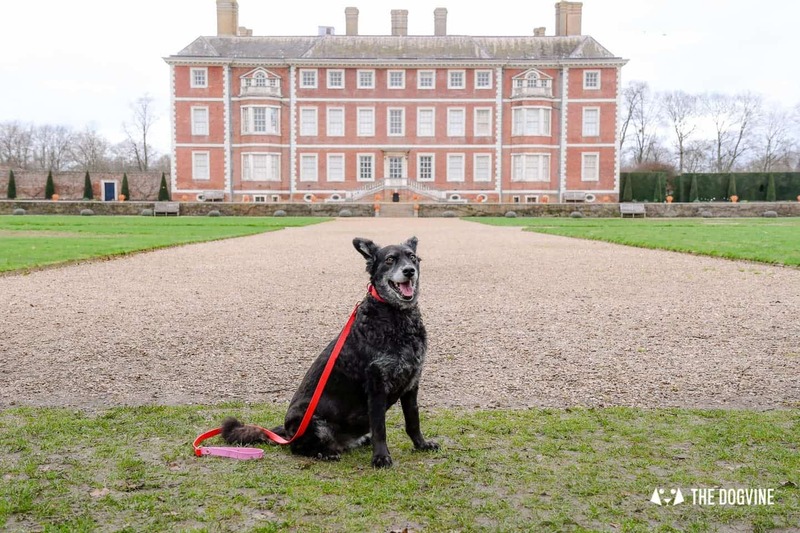 Previously on the blog, we visited dog-friendly Morden Hall Park and today we’ll share with you all you need to know about visiting dog-friendly Ham House and Garden just south of Richmond on the banks of the River Thames, another of the National Trust properties. 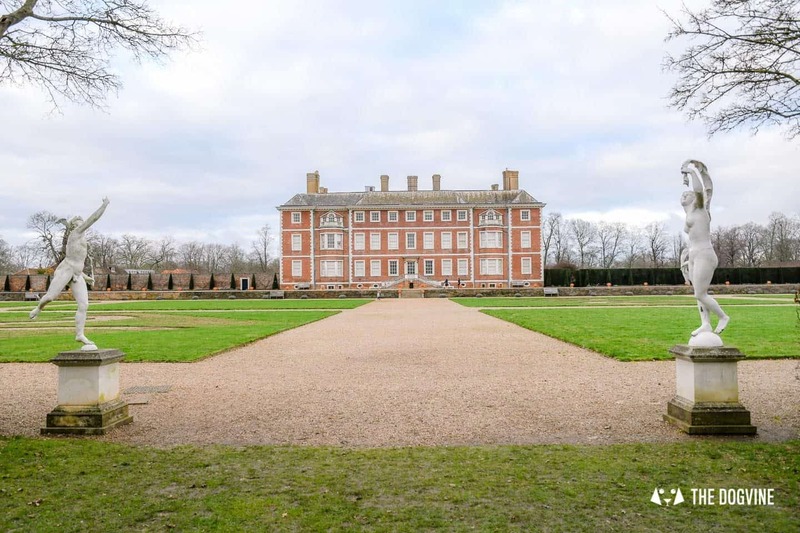 Ham House and Garden is a majestic 17th century house with formal gardens that is well worth a visit. 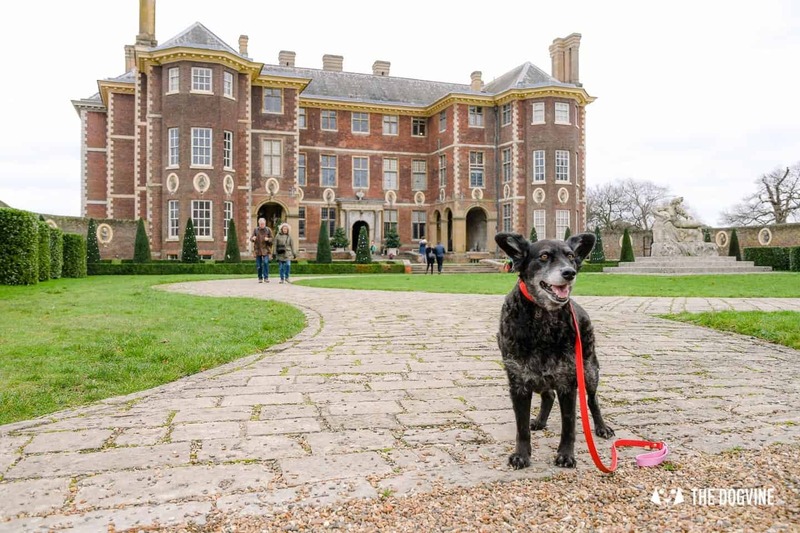 I have to confess that I am not necessarily a history buff but there is something rather special about visiting some of London’s historic and beautiful properties and even better, being allowed to do so with your four-legged best friend. 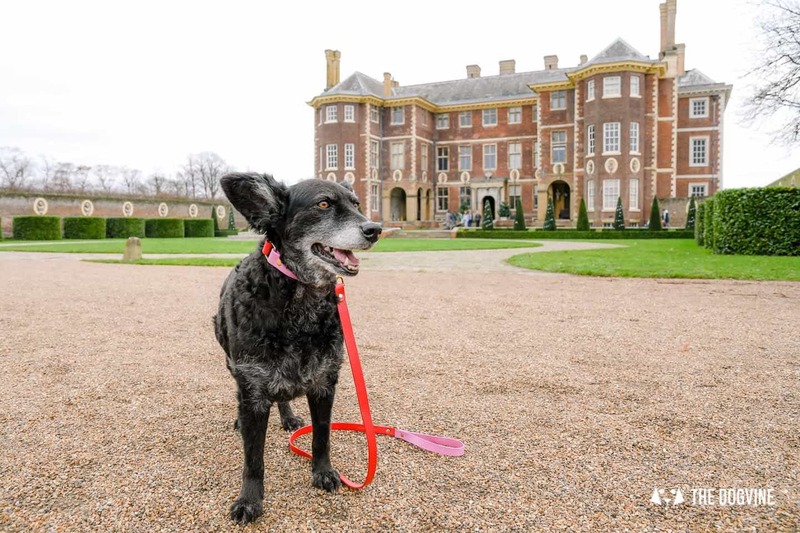 Ham House and Garden wasn’t always dog-friendly but following a trial that was so successful over the Christmas period in 2017, Ham House and Garden opened their doors to doggos on a permanent basis as of October 2018. Dogs aren’t allowed inside the house for obvious reasons (understandable as no-one wants to put the Ham House precious collection of paintings, furniture and textiles at risk). 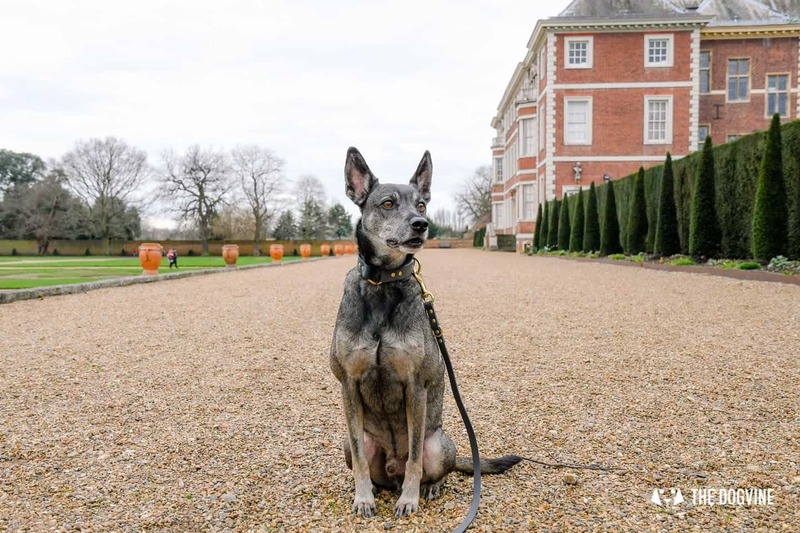 However, they are welcomed on most of the rest of the property such as the garden area – complete with a working kitchen garden, an ornamental garden and a more ‘wild’ garden with summer houses, as long as they ‘keep their humans’ on a short lead. We visited when flowers weren’t yet blooming, but it seems now is the perfect time to catch the 500,000 spring bulbs’ recently planted in the garden areas in bloom. Ham House and Garden were once home to the Duke and Duchess of Lauderdale, and the Duchess was a force to be reckoned with both in life and death. In fact, Ham House holds the accolade of being one of Britain’s most haunted houses and all thanks to the Duchess herself it seems. 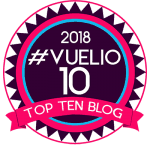 Many strange incidents have been reported, primarily on the ground floor which is where the Duchess spent her last years – from ghostly footsteps and a cold chill to the inexplicable scent of roses. There are even ghost tours you can participate in should you want to learn more about the supernatural side of Ham House. Fortunately, the gardens don’t seem to be haunted which is where you will spend your time if you visit with your pup and there are free garden tours you can take too with no ghostly visits on the itinerary. 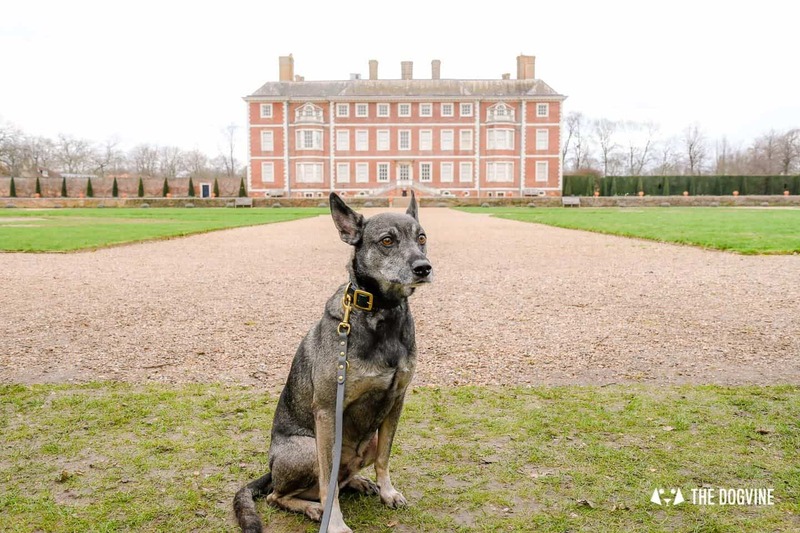 Where are dogs allowed in Ham House and Garden? 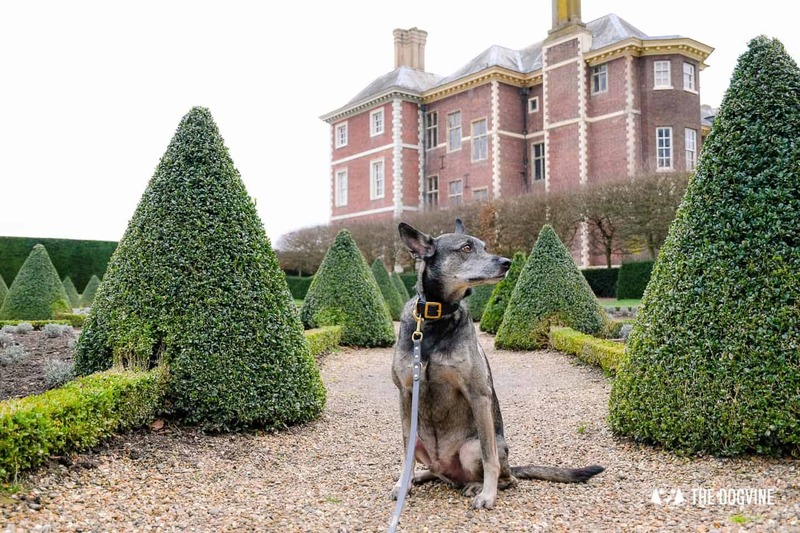 So where (and where not) are dogs allowed when visiting Ham House and Garden? 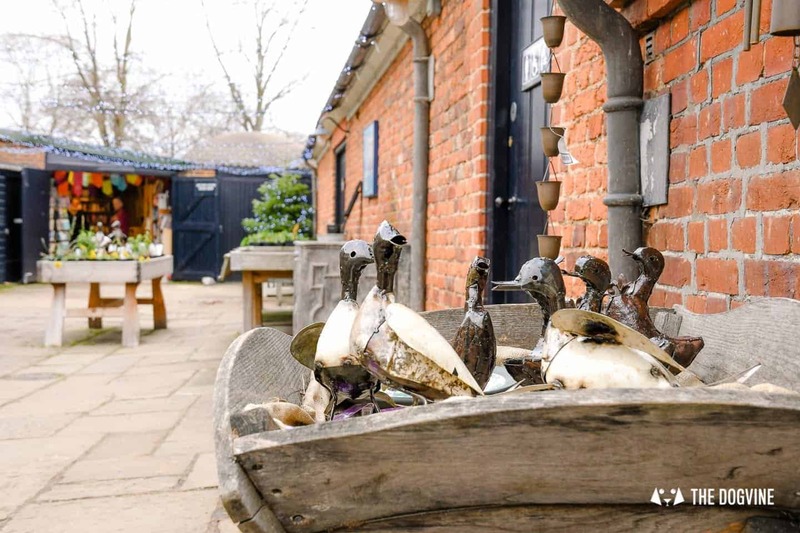 It is primarily the gardens that have been opened up to dogs and within the gardens, the gift shop and the Orangery Café too. 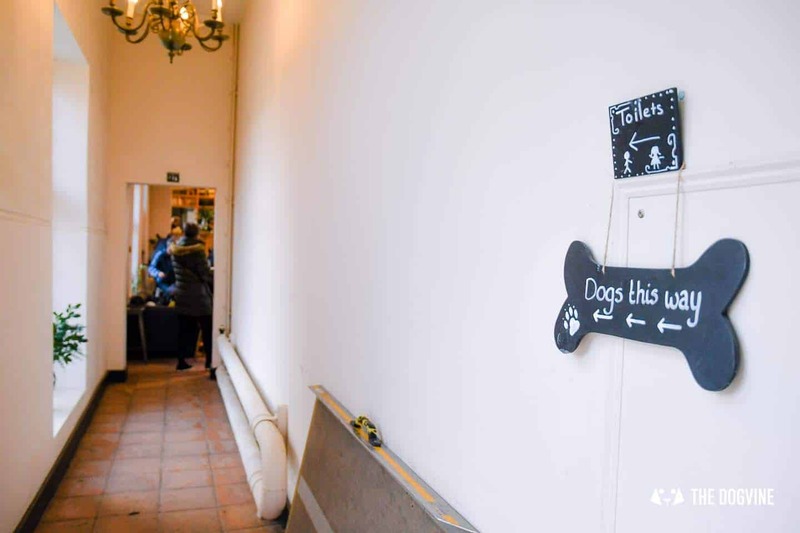 With the Orangery, dogs are of course allowed outside, however inside, they are allowed on one side of the café area only – the area not where the main kitchen and food serving area is. 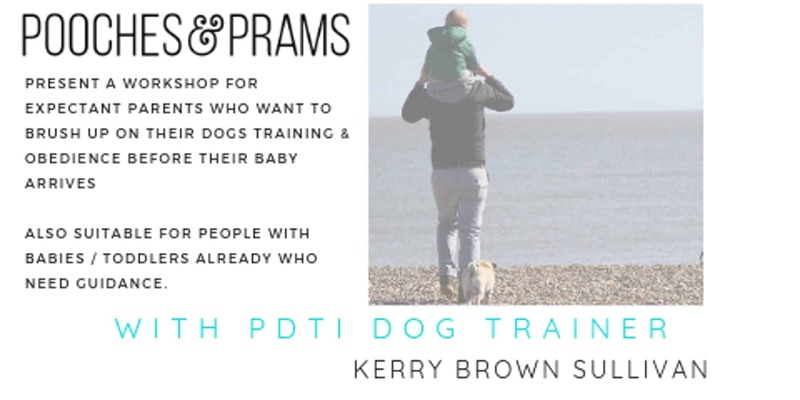 That means you will need to either be two humans so one can wait on dog duty whilst the other collects the coffee or if visiting solo, ask a friendly fellow visitor to look after your pup whilst you do. 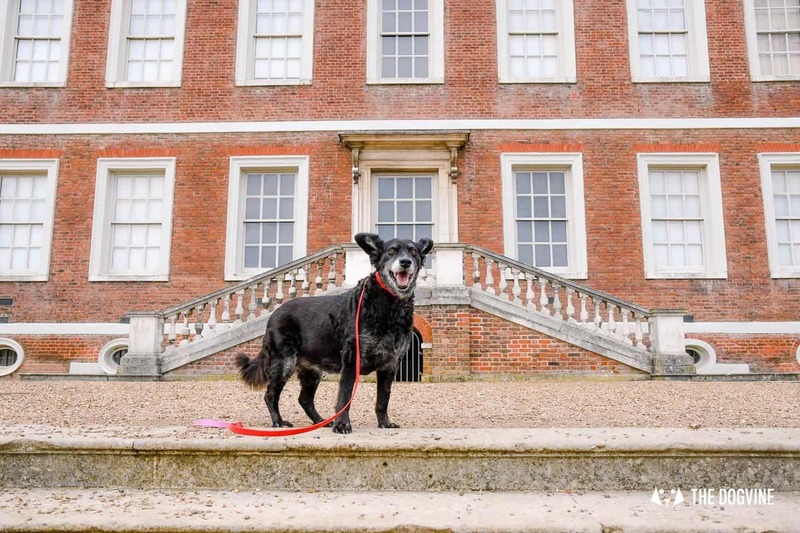 Of course, if you’re interested in seeing inside the house then two humans are definitely recommended so you can take turns to go and see the majestic collections inside Ham House. After a stroll around the three different garden areas offering many a pup photo opportunity followed by a pit stop at the café, you may well feel like continuing the walk. 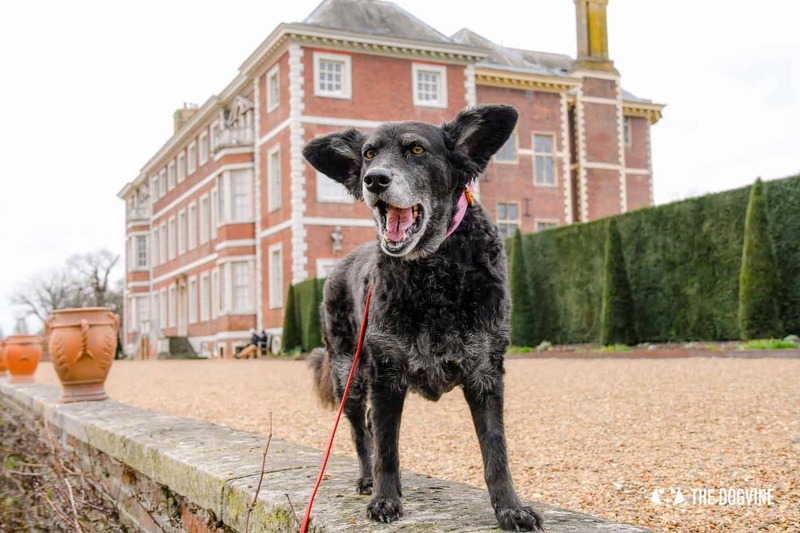 Now that Ham House and Garden are dog-friendly, the staff have developed two historical local walks which have been ‘paw-sonally’ vetted by the head gardeners dog. On arrival at reception (a booth at the gate), you will be given maps and and an information sheet to follow so you can decide if you would like to do them. 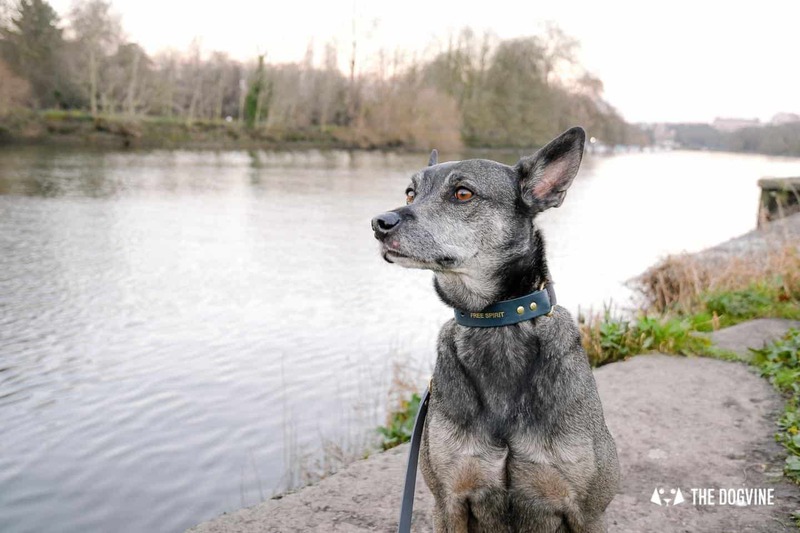 We won’t spoil them for you but there’s a riverside walk (our choice) and a more stately woodland option, so something for everyone and every pup. 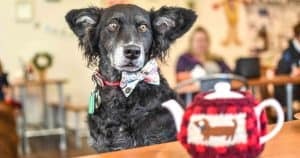 Dog-friendly Ham House and Garden – Was it a Paws Up? 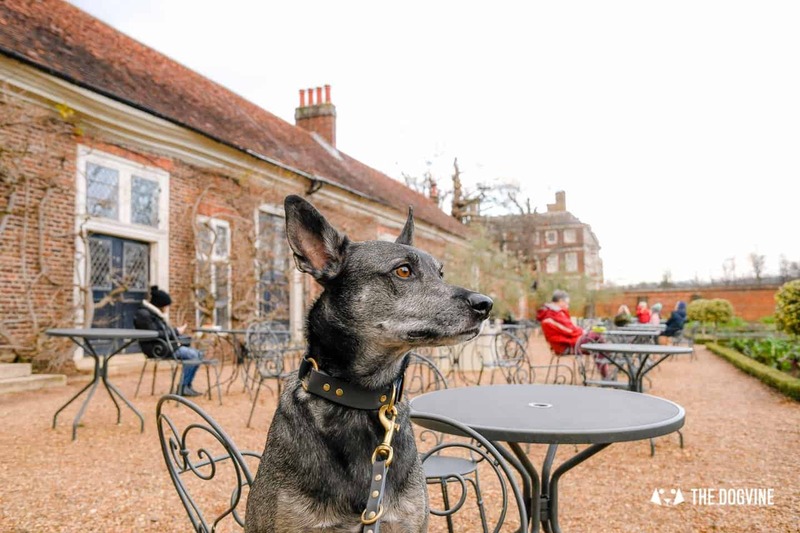 Ham House is an impressive place to visit and you definitely feel like you’ve taken a day-trip outside of London. 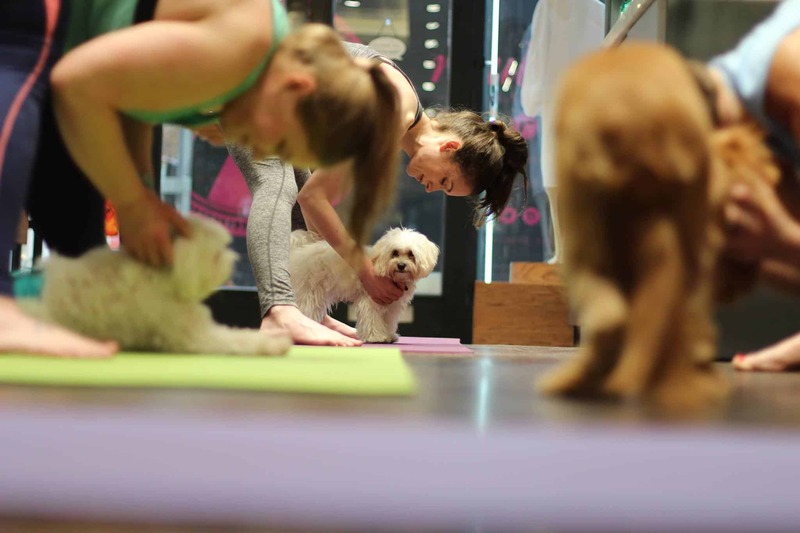 Being able to visit with your pup is a real privilege and makes it even more appealing. 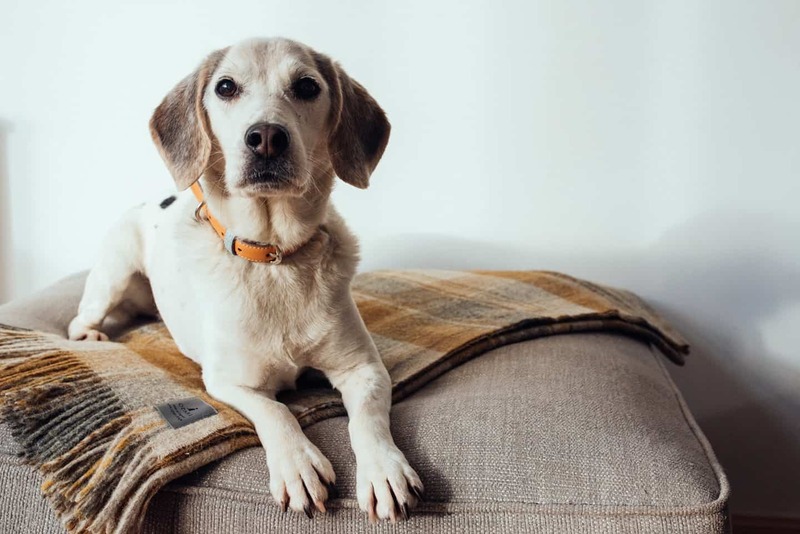 The walk around the grounds itself wouldn’t be enough to tire an energetic dog (but would be just right for an older dog) so the option of the additional recommended walks mapped out for you is a great idea for dogs (and humans) with lots of energy. The location is perfect for a riverside stroll. 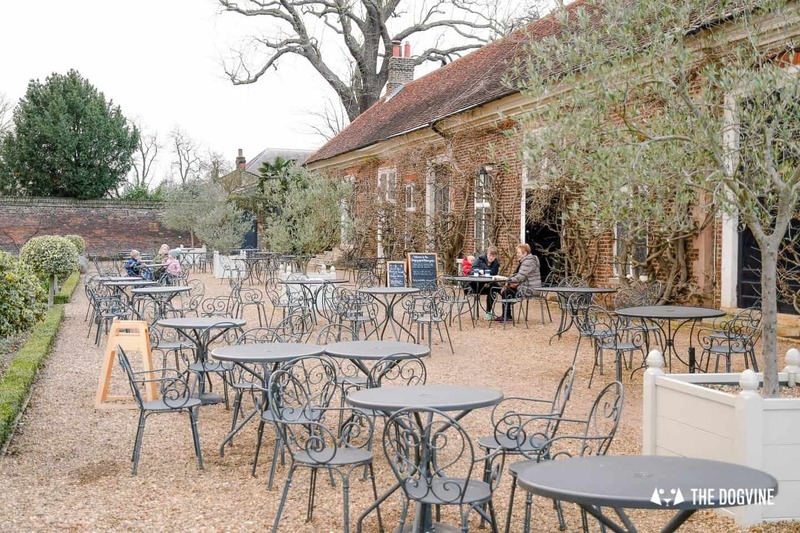 We visited on a Winter day so the Orangery Café wasn’t that busy, however as there is only one café I can imagine this gets very busy in Summer. Driving: If driving to Ham House and Garden there is a large car park which offers free parking some 400 yards from Ham House. Public Transport: If coming by public transport, then Richmond is the closest station and although you could walk it from Richmond bus routes 371 or 65 will bring you much closer. You can also walk from Kingston Station which is about 4.5 miles, see the suggested route here. 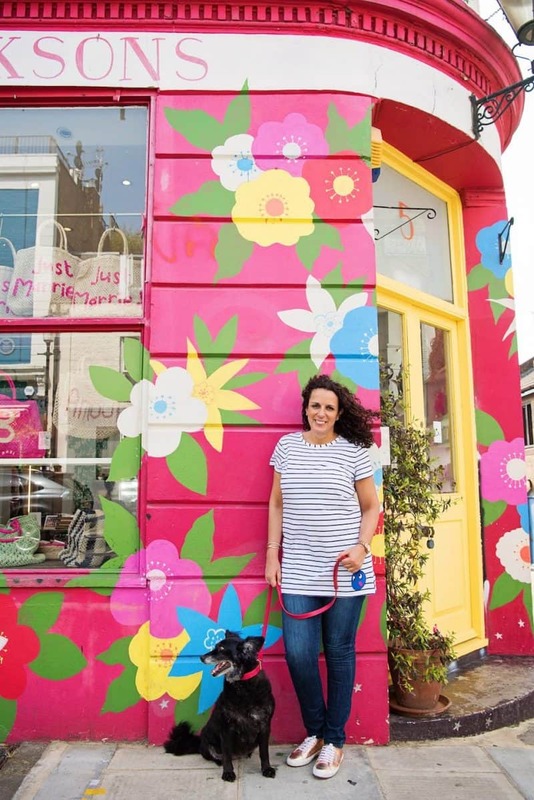 If you need some dog-friendly places to visit in Richmond, check out our pal Clover the Chow’s recommendations for dog-friendly Richmond here. The gardens and café are open daily from 10am to 5pm (4pm during Winter) and the house itself from 12pm to 4pm with last entry to the house at 3:30pm, more info here. The adult individual price is £12.50 during Spring / Summer which is the non gift aid price. However, if you’re a National Trust Member it’s free to visit (individual adult membership costs £72 a year and gives you access to all National Trust properties across the UK as well as several in Europe). 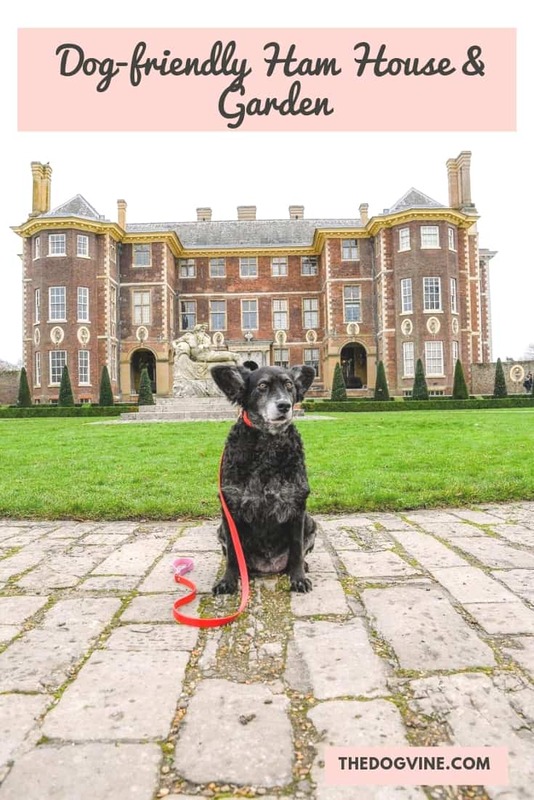 If I was basing it purely on visits to dog-friendly National Trust properties in London, I personally would ‘pay as you go’ as I just wouldn’t get the value out of a membership but if you plan to visit lots of properties around the UK then it’s definitely worthwhile. 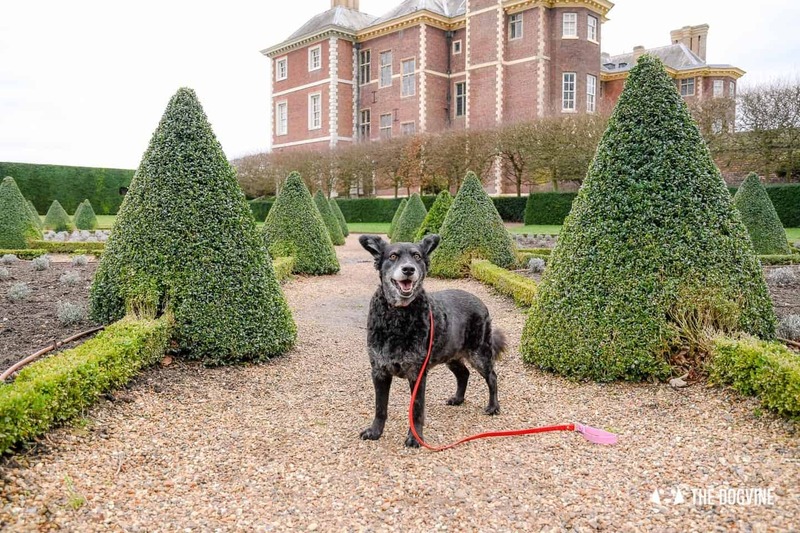 WE HOPE YOU ENJOYED OUR VISIT TO DOG-FRIENDLY HAM HOUSE AND GARDEN! 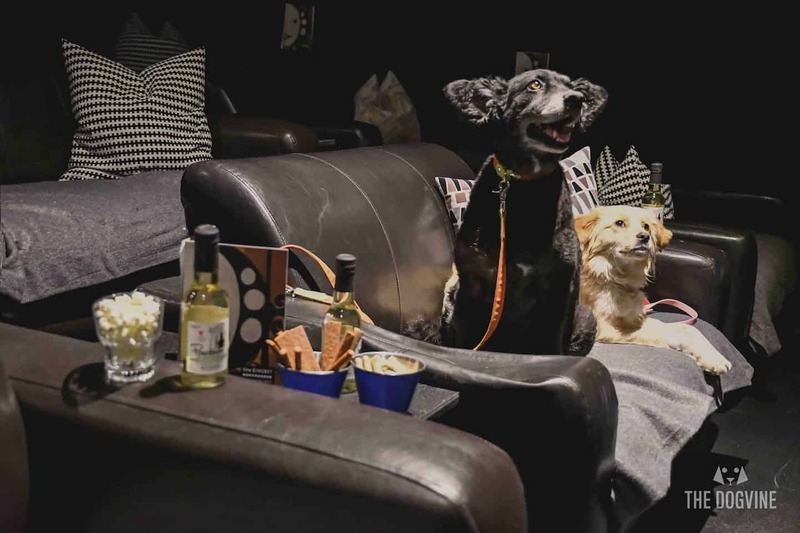 FOR MORE DOG-FRIENDLY INSPIRATION, CHECK OUT OUR OTHER DOG-FRIENDLY LONDON FEATURES.